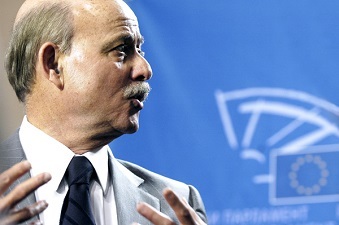 Leaving behind the global environmental and economic crisis “implies a radical change of our way of life on this planet”, says Jeremy Rifkin, Advisor to several Governments and many CEOs. 2nd pillar – To transform buildings into structures with positive energy: it’s your building that produces the energy you need. This conversion will provide millions of jobs. 3rd pillar – To develop fuel cells in order to stock electricity. Therefore, the energy is available when needed. 4th pillar – To create a retail system of green energy according to the model of the internet; to share energy as we share information. 5th pillar – To adopt green electricity for transportation and notably for cars. Battery-driven vehicles will be produced by 2015 by the 6 biggest world constructors. 1st pillar – Germany already produces 20% of green energy and strives to reach 30% in 2020. 3rd pillar – One German company tests hydrogen stocking devices within the electric network. 4th pillar – Deutsche Telekom is testing the smart electric network in 6 German regions. 5th pillar – Daimler is currently installing hydrogen stations for the arrival of fuel cells (battery substitute) in Germany. And you, dear Future Shaper, how are you going to act for this new economic paradigm? - The Third Industrial Revolution: How Lateral Power is Transforming Energy, The Economy, and The World, Jeremy Rifkin’s book translated in 35 languages.